This morning I had a fabulous time hosting webinars for Simple K 12 on one of my favorite topics, differentiation. Since I have received several requests for the link to my interactive Slides I decided to share the presentation on this blog for everyone to explore. Here you will find live text links, as well as linked images to explore. Click on links and images to explore live interactive images. Many teachers are creating amazing interactive images packed with resources for teaching science. Many students are using ThingLink to demonstrate learning about science by annotating images with multimedia. Good news! We are crowdsourcing to collect resources to and share great interactive images for teaching and learning about science. We hope you will join us! 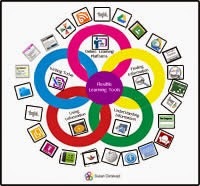 Over the summer, I had the opportunity to facilitate the ThingLink Teacher Challenge, a self-paced professional learning opportunity designed to help educators embrace ThingLink as a tool for teaching and learning and to help participants build their PLN’s. The ThingLink Teacher Challenge was very successful and I’m pleased to announce that ThingLink has developed a new tool that will make it easier to curate and share great interactive images through ThingLink Creative Challenges! Join us in creating and curating the best science images, aligned to the Next Generation Science Standards (NGSS). Create a ThingLink to support learning in the fields of life science, physical science, or earth and space science then submit it using our new Creative Challenges tool. The contest is open for 30 days and we will feature the best images during a webinar on February 17, 2015 to celebrate. I will be hosting a webinar on January 13th to provide teachers with a comprehensive overview of how to Build Your ThingLink Classroom. Live at 8PM EDT or sign up for the archive. This session will include ideas for simple student signups, managing student groups and using ThingLink to power student projects. We will also take a closer look at the amazing ThingLink App and explore the use of Channels for curating collections of content. We invite you to sign up and join us. I’ve put together 12 examples of ways to embrace ThingLink for teaching and learning in the New Year. The ideas are for those who are just starting out, or for those who already love ThingLink! We hope you will get inspired by the interactive images created by our talented community members over the course of the last 12 months. To learn how to use any of these ideas in your classroom, click the information link below each example. Happy New Year!